Bravo aux joueuses/joueurs ayant fait un bon/joli mois de Juillet ! Juillet qui a commencé dans le rouge/deficit, ici a Cahors...et ce n'est qu'en milieu de mois que sommes revenus en positif/vert pour y rester. Mois de Juillet plein de suspense/palpitations...Bravo ! Attendons ce 1er gain correct qui nous mettra a l'abri et a l'aise...Puis continuons nos jeux intelligents et originaux! Bon mois d'Aout a toutes et tous ! 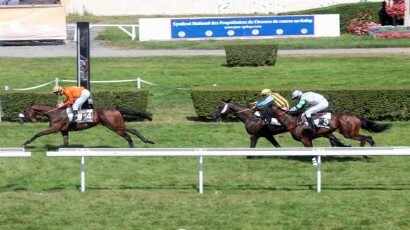 COURSE QUINTE=PERDUE, PAR ICI...DOMMAGE, EN PRONOS, POUR NOTRE 11/ZECOUILLON QUI SE PLACE 5EME AU LIEU DE 4EME A BELLE COTE. CEPENDANT, BRAVO A CERTAINS DE NOS COLLEGUES TURFY QUI DEBUTENT AOUT SUR LES CHAPEAUX DE ROUES...AIDES DE NOS METHODES TURFY. METHODES TURFY/JEUX UNITAIRES: 1 ZECOUILLON=14.30 € POUR 1 €. BRAVO AUX GAGNANTS QUI, COMME NOUS, ONT VISE ZECOUILLON LORS DE CETTE COURSE QUINTE NOCTURNE. LA COTE DE NOTRE 9/ZECOUILLON A BIEN BAISSE DEPUIS LA VALIDATION DE NOS JEUX CE MATIN...C'EST LE JEU ET ON PREND ! PRONOS TURFY/JEUX UNITAIRES: 9 ZECOUILLON=9.60 €/JUMELE 1-6 PLACE=14.30 € POUR 1 €/2 SUR 4 PMU=29.70 € POUR 3 €. METHODES TURFY/JEUX UNITAIRES: GAINS PRONOS+11 GAGNANT=15.00 €/11 PLACE=3.80 € POUR 1 €. COURSE QUINTE=PERDUE, PAR ICI...BRAVO AUX GAGNANTS ! IL NE NOUS MANQUAIT QU'1 DADA POUR TOUCHER/GAGNER LE QUINTE DESORDRE=1188.80 € OU LE ZE5=6084.20 € ! PRONOS TURFY/JEUX UNITAIRES: JUMELE 1-2 GAGNANT=47.50 € /JUMELE 1-2 PLACE=17.30 € POUR 1 €/2 SUR 4 PMU=30.60 € POUR 3 €. PRONOS TURFY/JEUX CHAMP REDUIT/COMBINE: TIERCE D=76.10 €/TRIO=252.90 €/QUARTE D=434.46 €/ZE4=588.70 €/BONUS 4=60.40 €/MULTI 7=49.50 €. METHODES TURFY/JEUX UNITAIRES: GAINS PRONOS+9 ZECOUILLON=13.80 € POUR 1 €. COURSE QUINTE=PERDUE, PAR ICI...BRAVO AUX GAGNANTS ! MEME SI LES RAPPORTS SONT MINUSCULES, COMME CELA ARRIVE QUAND NOTRE FEU TRICOLORE EST"MITIGE"
UNE DES COMBINAISONS LES +JOUEES/RECOMMANDEES PAR NOS METHODES TURFY DECLENCHAIT LE QUINTE ORDRE=1020.00 € POUR 2 € OU LE ZE5=185.50 € POUR 1 € ! LA TOTALE A PETITS RAPPORTS EN ATTENDANT MIEUX. PRONOS TURFY/JEUX UNITAIRES: JUMELE 3-2 PLACE=6.70 € POUR 1 €/2 SUR 4 PMU=5.70 € POUR 3 €. PRONOS TURFY/JEUX CHAMP REDUIT/COMBINE: TIERCE D=3.10 €/TRIO=22.35 €/QUARTE D=20.80 €/ZE4=68.00 €/QUINTE D=37.20 €/ZE5=185.50 €/MULTI 7=5.40 €. BRAVO AUX GAGNANTS DU JOUR AYANT VISE ZECOUILLON LORS DE CETTE COURSE QUINTE A TRES BONS RAPPORTS...COMME NOUS L'AVIONS"PREVU". METHODES TURFY/JEUX UNITAIRES: 8 ZECOUILLON=18.10 € POUR 1 €. BRAVO AUX GAGNANTS SUR CETTE COURSE QUINTE. METHODES TURFY/JEUX UNITAIRES: 7 GAGNANT=22.30 €/7 PLACE=6.10 € POUR 1 €. BRAVO AUX GAGNANTS DU JOUR. ICI, NOUS AVONS VISE ZECOUILLON LORS DE CETTE COURSE QUINTE. 1X2+, VU LA COULEUR DU FEU TRICOLORE, IL SUFFISAIT DE METTRE UNE PIECE SUR LES QUELQUES ZECOUILLON INTERESSANTS...POUVONS CEPENDANT MIEUX FAIRE. METHODES TURFY/JEUX UNITAIRES: 5 ZECOUILLON=17.00 € POUR 1 €. PRONOS TURFY/JEUX UNITAIRES: JUMELE 2-13 GAGNANT=20.10 €/JUMELE 3-13 PLACE=8.10 € POUR 1 €/2 SUR 4 PMU=24.90 € POUR 3 €. PRONOS TURFY/JEUX CHAMP REDUIT/COMBINE: TIERCE D=49.00 €/TRIO=139.95 €/BONUS 3 QUARTE=11.96 €/BONUS 3=5.40 € . COURSE QUINTE=PERDUE, PAR ICI. BRAVO AUX GAGNANTS DU JOUR ! 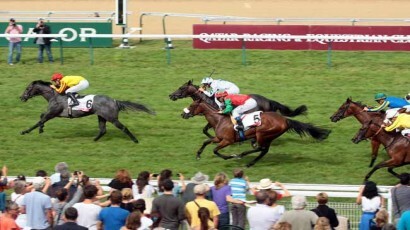 EN PRONOS TURFY, NOTRE 15/ZECOUILLON SE PLACE 6EME AU LIEU DE 4EME. COMME CONVENU, PAS DE JEUX POUR NOUS ICI, A CAHORS, CE JOUR...BRAVO AUX GAGNANTS DU JOUR, PUISQUE IL Y EN A. COURSE QUINTE A PETITS RAPPORTS COMME NOUS L'AVIONS PREVU. PRONOS TURFY/JEUX UNITAIRES: BONUS 4/5=4.20 € POUR 2 €/JUMELE 11-14 PLACE=8.30 € POUR 1 €/2 SUR 4 PMU=13.50 € POUR 3 €. BRAVO DE NOS QUELQUES GAINS LORS DE CETTE COURSE QUINTE OU NOUS NOUS ATTENDIONS A MIEUX...BRAVO AUX GAGNANTS. PRONOS TURFY/JEUX UNITAIRES: 16 PLACE= 5.80 € POUR 1 €. METHODES TURFY/JEUX UNITAIRES: GAIN PRONOS+3 ZECOUILLON=17.20 € POUR 1 €/2 SUR 4 PMU=38.70 € POUR 3 €. PRONOS TURFY/JEUX UNITAIRES: 2 SUR 4/PMU=23.10 € POUR 3 €. METHODES TURFY/JEUX UNITAIRES: GAIN PRONOS+14 GAGNANT=20.60 €/14 PLACE=6.80 € POUR 1 €. BRAVO AUX GAGNANTS DU JOUR QUI, POUR LA PLUPART, ONT VISE ZECOUILLON LORS DE CETTE COURSE QUINTE A BONS RAPPORTS...COMME NOUS L'AVIONS"PREVU". NOS METHODES TURFY NE DETECTAIENT QUE 3 DADAS PROBABLES/VALABLES EN ZECOUILLON ET CERTAINS D'ENTRE NOUS ONT MISE+++ ET SONT RECOMPENSES. METHODES TURFY/JEUX UNITAIRES: GAINS PRONOS+ 11 ZECOUILLON=24.70 € POUR 1 €. PRONOS TURFY/JEUX UNITAIRES: JUMELE 2-4 PLACE=21.80 € POUR 1 €/2 SUR 4/PMU=53.10 € POUR 3 €. COURSE QUINTE=PERDUE, PAR ICI. BRAVO AUX GAGNANTS DU JOUR ! COMME PREVU CETTE COURSE QUINTE A TRES PETITS RAPPORTS MERITAIT BIEN SON FEU ORANGE. PRONOS TURFY/JEUX UNITAIRES: 2 SUR 4 PMU=4.50 € POUR 3 €. 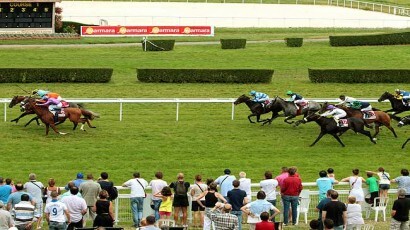 PRONOS TURFY/JEUX CHAMP REDUIT/COMBINE: BONUS 4/5=3.90 € . COURSE QUINTE=PERDUE, PAR ICI. BRAVO AUX GAGNANTS DU JOUR . PRONOS TURFY/JEUX UNITAIRES: JUMELE 1-11 PLACE=14.80 € POUR 1 €/2 SUR 4 PMU=6.90 € POUR 3 €. BRAVO AUX GAGNANTS LORS DE CETTE COURSE QUINTE NOCTURNE A FEU ORANGE GAGNEE PAR UN FAVORI...COMME PREVU. PRONOS TURFY/JEUX UNITAIRES: 15 PLACE=10.40 € POUR 1 €/2 SUR 4 PMU=14.40 € POUR 3 €. 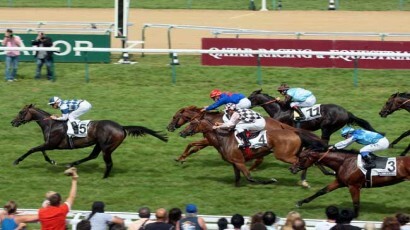 BRAVO AUX GAGNANTS SUR CETTE COURSE QUINTE OU NOUS NOUS ATTENDIONS A MIEUX (EN PRONOS TURFY...) BRAVO AUX GAGNANTS ! PRONOS TURFY/JEUX UNITAIRES: 5 PLACE=4.60 €/JUMELE 5-4 PLACE=20.70 € POUR 1 €/2 SUR 4/PMU=11.40 € POUR 3 €. METHODES TURFY/JEUX UNITAIRES: 6 GAGNANT=28.10 €/6 PLACE=6.50 € POUR 1 €. BRAVO AUX GAGNANTS DU JOUR QUI, POUR LA PLUPART, ONT GAGNE CE ZECOUILLON ET D'AUTRES JOLIS GAINS LORS DE CETTE COURSE QUINTE A FEU VERT ET A TRES BONS RAPPORTS...COMME NOUS L'AVIONS"PREVU". PRONOS TURFY/JEUX UNITAIRES: 6 PLACE=4.20 €/16 PLACE=9.70 €/9 ZECOUILLON=24.50 €/JUMELE 6-16 PLACE=66.40 € POUR 1 €/2 SUR 4/PMU=136.50 € POUR 3 €. METHODES TURFY/JEUX UNITAIRES: GAINS PRONOS+ 8 GAGNANT=18.20 €/8 PLACE=5.50 € POUR 1 €. BRAVO AUX GAGNANTS ! OU, ICI, NOUS N'ETIONS VRAIMENT PAS LOINS DE QQCHOSE DE FABULEUX...GRACE (OU A CAUSE...) DU 11 NON DECLARE PARTANT ! CERTAINS DE NOS JOUEURS ONT TRES BIEN GAGNE ET C'EST TANT MIEUX ! IL NE NOUS MANQUAIT QU'1 DADA POUR TOUCHER/GAGNER LE QUINTE DESORDRE=934.00 € OU LE ZE5=1541.80 € ! PRONOS TURFY/JEUX UNITAIRES: BONUS 4/5=15.90 € POUR 2 €/14 PLACE=3.80 €/JUMELE 4-14 GAGNANT=71.70 €/JUMELE 4-14 PLACE=18.70 € POUR 1 €/2 SUR 4 PMU=39.90 € POUR 3 €. 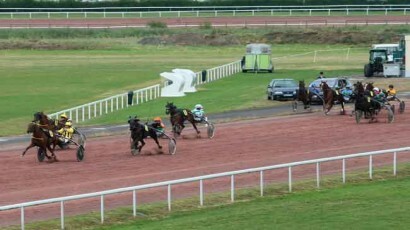 METHODES TURFY/JEUX UNITAIRES: GAINS PRONOS+4 GAGNANT=14.80 €/4 PLACE=4.80 €/2 PLACE=21.70 € POUR 1 €. COURSE QUINTE=PERDUE, PAR ICI...BRAVO AUX GAGNANTS ! PAR ICI, C'EST ZECOUILLON QUE NOUS AVONS PRIVILEGIE ET C'EST BIEN DOMMAGE, EN PRONOS TURFY, POUR NOTRE 9/ZECOUILLON QUI SE PLACE 6EME AU LIEU DE 4EME A BELLE COTE...TANT PIS, C'EST LE JEU ! IL NE NOUS MANQUAIT QU'1 DADA POUR TOUCHER/GAGNER LE QUINTE DESORDRE=1063.20 € OU LE ZE5=2400.30 € ! DECIDEMENT, C'EST LA SERIE...JUSQU'AU JOUR OU CA NOUS REVIENDRA !!! PRONOS TURFY/JEUX UNITAIRES: 6 PLACE=6.60 €/JUMELE 5-8 GAGNANT=24.80 € /JUMELE 5-8 PLACE=11.20 €/JUMELE 5-6 PLACE=22.20 €/JUMELE 8-6 PLACE=50.00 € POUR 1 €/2 SUR 4 PMU=27.90 € POUR 3 €. PRONOS TURFY/JEUX CHAMP REDUIT/COMBINE: TIERCE D=109.00 €/TRIO=345.60 €/QUARTE D=607.10 €/ZE4=902.30 €/BONUS 4=66.00 €/MULTI 7=72.00 €. BRAVO AUX GAGNANTS LORS DE CETTE COURSE QUINTE OU C'EST SURTOUT ZECOUILLON QUE NOUS VISIONS PAR ICI...CA SERA POUR UNE PROCHAINE FOIS. PRONOS TURFY/JEUX UNITAIRES: 3 PLACE=6.50 €/JUMELE 14-3 PLACE=48.00 € POUR 1 €/2 SUR 4 PMU=65.40 € POUR 3 €. BRAVO AUX GAGNANTS DU JOUR AYANT VISE ZECOUILLON LORS DE CETTE COURSE QUINTE ...LORS DES FEUX TRICOLORES"MITIGES", LA PLUPART D'ENTRE NOUS MET UNE PIECE SUR LES QUELQUES ZECOUILLON A BELLES COTES (PEU NOMBREUX/PEU DE MISE...), MEME S'ILS NE FONT PAS PARTIE DE NOTRE SELECTION/PRONOS DU JOUR. EN VOICI ENCORE UN BEL EXEMPLE. IL NE NOUS MANQUAIT QU'1 DADA POUR TOUCHER/GAGNER LE QUINTE DESORDRE=340.60 € OU LE ZE5=1204.00 € ! DECIDEMENT, C'EST SOUVENT LE CAS CES DERNIERS JOURS !!! METHODES TURFY/JEUX UNITAIRES: = GAINS PRONOS+ 7 ZECOUILLON=19.70 € POUR 1 €. PRONOS TURFY/JEUX UNITAIRES: JUMELE 14-12 GAGNANT=48.30 € /JUMELE 14-12 PLACE=16.40 € POUR 1 €/2 SUR 4 PMU=19.80 € POUR 3 €. PRONOS TURFY/JEUX CHAMP REDUIT/COMBINE: TIERCE ORDRE=343.90 €/TRIO=66.60 €/BONUS 3 QUARTE=11.44 €/BONUS 3=6.40 €. COURSE QUINTE=PERDUE, PAR ICI...BRAVO AUX GAGNANTS LORS DE CETTE COURSE QUINTE A RAPPORTS MINUSCULES, COMME"PREVU"DANS LE MAIL A CE SUJET...ET PAR NOTRE FEU TRICOLORE. 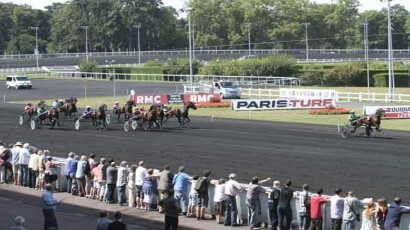 EN PRONOS TURFY, NOTRE 11/ZECOUILLON SE PLACE 6EME AU LIEU DE 4EME. PRONOS TURFY/JEUX UNITAIRES: JUMELE 3-5 PLACE=6.20 € POUR 1 €/2 SUR 4 PMU=8.40 € POUR 3 €. PRONOS TURFY/JEUX CHAMP REDUIT/COMBINE: TIERCE D=34.90 € /TRIO=80.70 €/QUARTE D=71.76 €/ZE4=65.20 €/ QUINTE D=51.40 €/ZE5=32.20 €/ MULTI 7=5.40 €. CEPENDANT, NOS PRONOS TURFY SONT OK TOUS LES JOURS ! METHODES TURFY/JEUX UNITAIRES: = GAINS PRONOS+ 15 GAGNANT=37.00 €/15 PLACE=8.80 € POUR 1 €. PRONOS TURFY/JEUX UNITAIRES: JUMELE 15-16 PLACE=24.30 € POUR 1 €/2 SUR 4 PMU=19.20 € POUR 3 €. 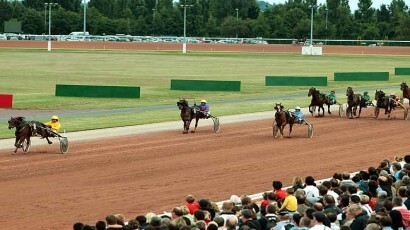 EN PRONOS TURFY, NOTRE 14/ZECOUILLON SE PLACE 6EME AU LIEU DE 4EME. COURSE QUINTE=PERDUE, PAR ICI...BRAVO AUX GAGNANTS LORS DE CETTE COURSE QUINTE (ET D'AUTRES COURSES/REUNIONS, PUISQUE VOUS ETES QQUNS A Y EXCELLER !!!...). 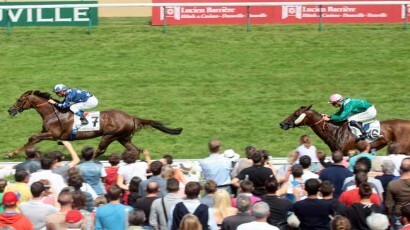 EN PRONOS TURFY, NOTRE 16/ZECOUILLON SE PLACE 7EME AU LIEU DE 4EME. METHODES TURFY/JEUX UNITAIRES: ZECOUILLON=14.30 € POUR 1 € . PRONOS TURFY/JEUX UNITAIRES: BONUS 4/5=13.20 € POUR 2 €/12 PLACE=6.90 €/JUMELE 8-3 GAGNANT=28.20 €/JUMELE 8-3 PLACE=12.10 €/JUMELE 8-12 PLACE=31.30 €/JUMELE 3-12 PLACE=23.50 € POUR 1 €/2 SUR 4 PMU=32.40 € POUR 3 €. PRONOS TURFY/JEUX CHAMP REDUIT/COMBINE: TIERCE ORDRE=450.50 €/TRIO=185.40 €/BONUS 3 QUARTE=25.74 € .